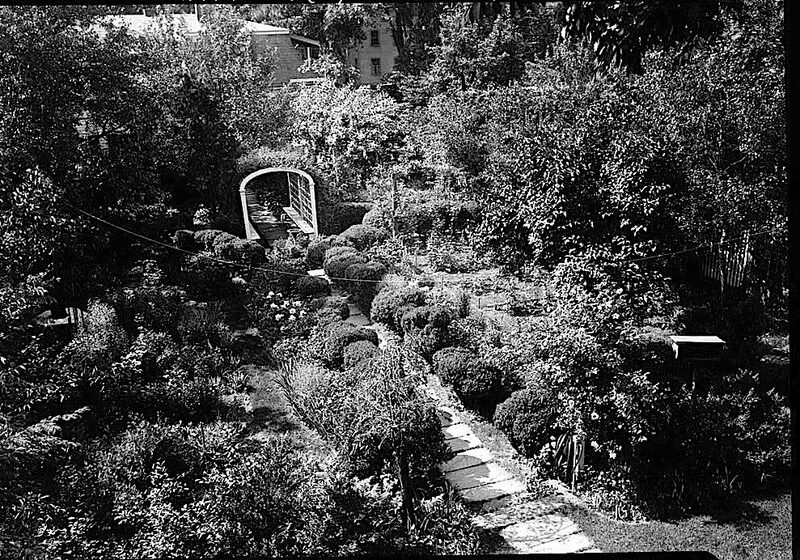 View of garden, looking south, Leverett Saltonstall Place, 41 Chestnut Street, Salem, Massachusetts, June 1940, by Frank O. Branzetti for an Historic American Buildings Survey (HABS), via Library of Congress Prints and Photographs Division (both photos). In 1808 (or maybe 1810), Thomas Saunders built a double house for his two daughters, Caroline and Mary Elizabeth, and their husbands, brothers Nathaniel and Leverett Salstonstall. The Leverett Salstonstalls lived in the no. 41 side, shown here. 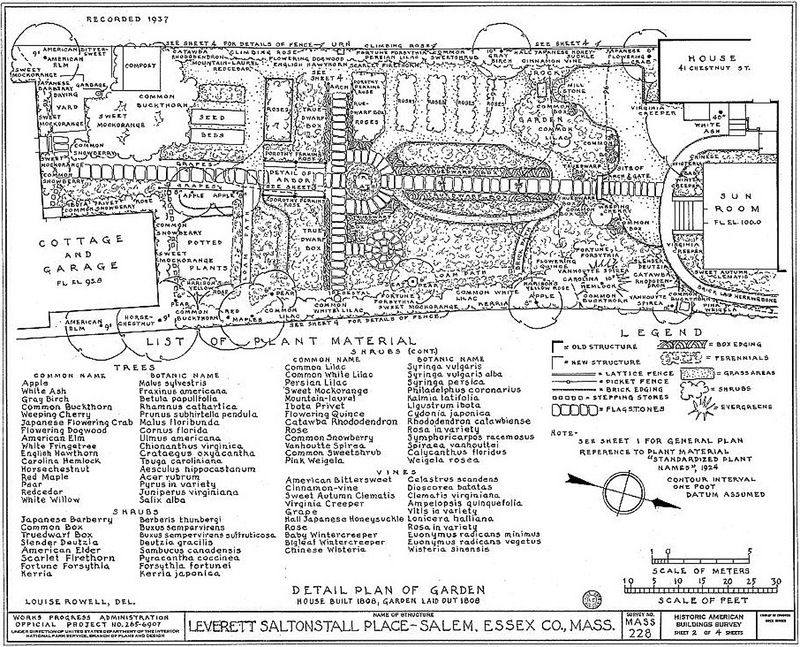 The garden was also laid out about 1810. Its arrangement was reportedly the same as when this drawing was made in 1937. Drawing by Louise Rowell, 1937, for the same HABS. Click to enlarge. 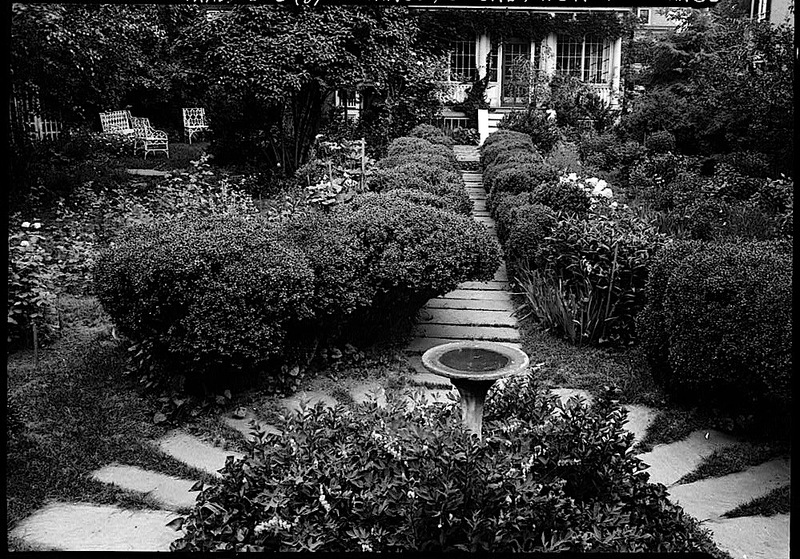 Mary and Leverett’s granddaughter, Mary Saltonstall Parker, also lived in the house in the late 19th and early 20th centuries. She wrote several little books of sentimental verse that fed into the Colonial Revival movement of that period. During WWI, her needlework art was published in House Beautiful and other publications.